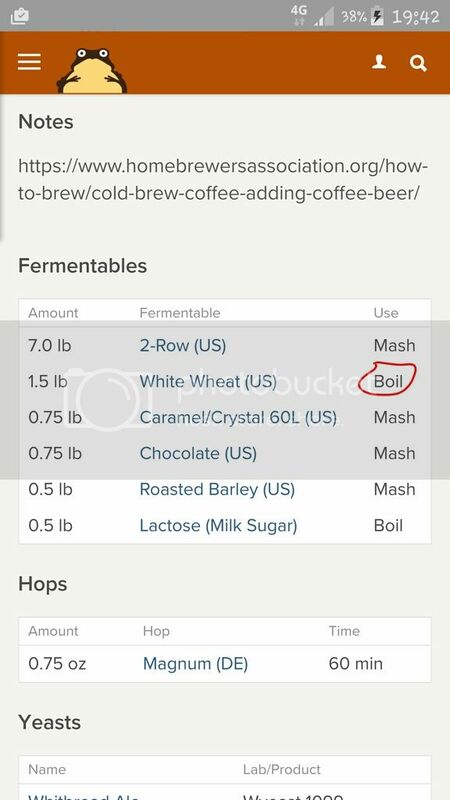 I have found a recipe for a coffee stout I'd like to try someone but it calls for white wheat in the boil not mash. Is this right or a typo. If so why the boil?